Global luxury hotel company and a member of Dubai Holding, Jumeirah Group has announced its sponsorship of renowned luxury sports car manufacturer, Aston Martin, at the 41st Nürburgring 24-hour race. This classic race, a highlight of the motor racing calendar, took place at the Nürburgring on 19 and 20 May. It was the eighth year Aston Martin and CEO Dr. Ulrich Bez competed at the legendary event. In addition, this year the Aston Martin V12 Vantage GT3 showcased Jumeirah as a key sponsor. 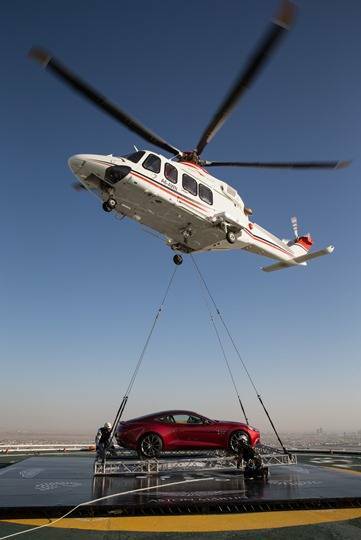 The union of these two powerful luxury brands comes at an exciting time with Aston Martin celebrating its centenary in 2013, and Jumeirah Group opening its 21st hotel. The company now operates a portfolio of luxury hotels spanning Europe, the Middle East and Asia with a further 18 projects in the pipeline.